Beijing, imperial and modern capital of China, is the front door to China’s history and China today. It has some of the finest remnants of China&apos;s imperial past and its cityscapes showcase modern China’s prestige. Our Beijing tours will allow you to experience the spirit of China, one of the oldest nations on the planet. Walk on a less-crowded section of the Great Wall, explore the emperors’ Forbidden City, and take a rickshaw through the small lanes (hutongs) of old Beijing. Traditional Chinese culture and lifestyles will come to life for you. Our private tours are customizable and put you in control. There is no big bus, no crowd of strangers, no wasting time, and no rushing. Travel at a flexible and relaxing pace. Enjoy your time in Beijing to the utmost. 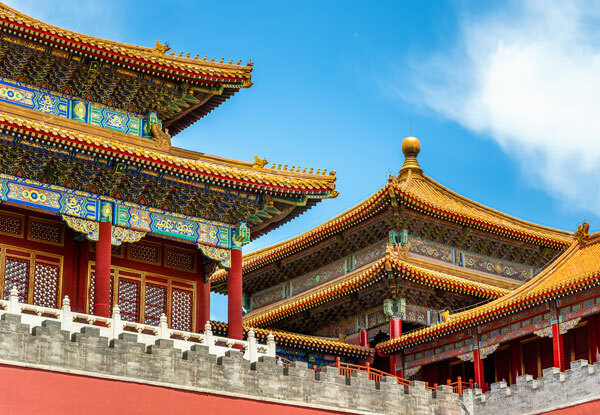 These are the top Beijing itineraries for visiting the highlights of the city: the Great Wall, Forbidden City, Temple of Heaven... Remember, all these Beijing tour packages can be changed according to your needs. Discover the spirit of Beijing through the lives of its emperors. This is the perfect trip for first-time-to-Beijing visitors who want a cultural insight into the city’s history and traditions. Make your Beijing tour more special. Stay overnight at charming Gubei Water Town at the foot of the Great Wall. Enjoy stunning views of Simatai’s Great Wall lit by magical lights on tranquil nights. Customize your Beijing time for your family. Travel with your own guide and private transport. Enjoy the flexibility of changing your route according to your family&apos;s needs. 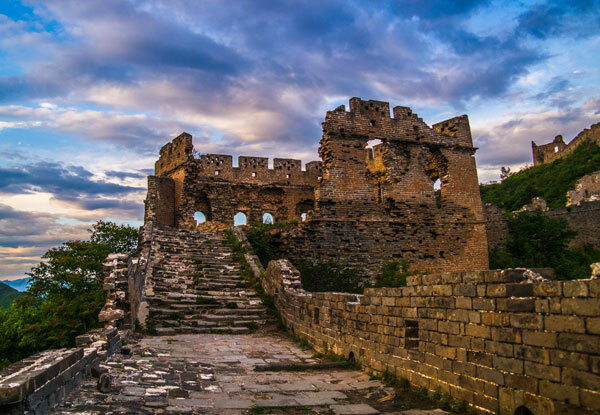 No visit to China is complete without a visit to the Great Wall, and Beijing is the best city to explore the Great Wall from. Our Great Wall tours from Beijing allow you to hike the best sections of the Wall including Mutianyu, Jinshanling, Jiankou, and Simatai. Hike on highly-photogenic original Wall (half ruined, half repaired). Enjoy spectacular scenery on the way. Hike at your pace with no crowds around you. Enjoy your time to the utmost. Hike on the untouched ruins of the steepest Great Wall section at Jiankou. Explore the Wall’s original stonework, laid hundreds of years ago. With nobody around, you’ll have the Wall to yourself. 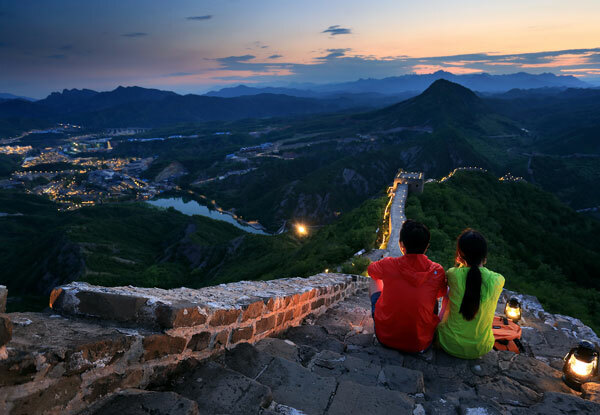 Enjoy picturesque scenery and restored architecture at the Mutianyu section of the Great Wall, then stunning night views of the tastefully-lit Simatai Great Wall section. 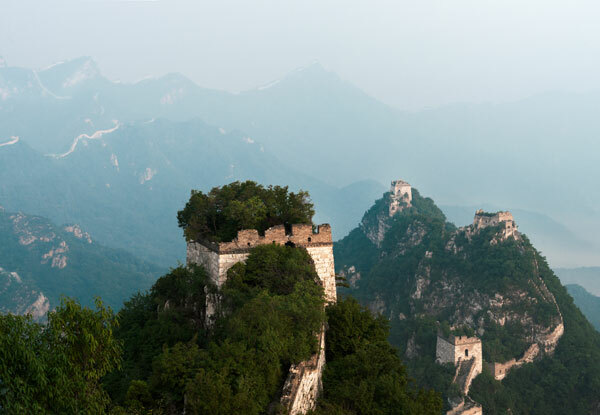 Visit the Great Wall from Beijing or Beijing airport in a day. Be noted that the great wall is about 2 hours&apos; drive from Beijing Airport. Your layover time should be more than 10 hours if you want to visit the Great Wall. Our private days tours and airport layover tours to the great wall allow you to enjoy Beijing and the Great Wall at a relax pace. Enjoy the highlights of Beijing and the Great Wall on a private day tour. With only you to cater to, we&apos;ll maximize your time. Visit the Mutianyu Great Wall from Beijing airport. Flexible arrangements to save your time. Beijing is a major gateway city to most tourist cities in China. Convenient transportation including flights and bullet trains mean it is very easy to start your China trip from Beijing. There are daily flights and bullet trains to the major destinations including Shanghai, Xian, Chengdu and Guilin. See below our most popular 3 China tours from Beijing: travel at a relax pace with our time-smart arrangement and one-to-one service. Travel from China&apos;s tradition-rich capital to its prosperous largest city. Feel the contrast of old and new as you experience one of the oldest as well as most forward-thinking nations. 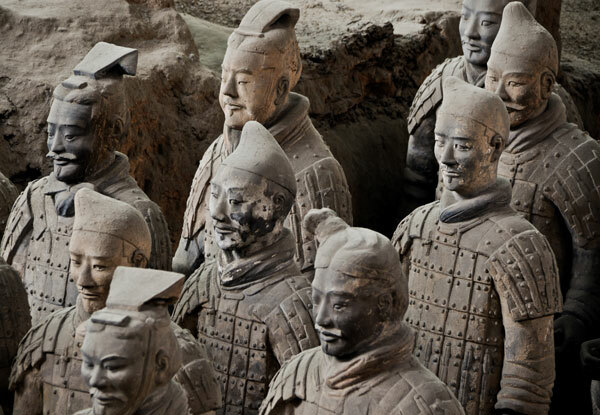 Experience imperial Beijing and discover Xi&apos;an&apos;s 2,000-year-old secrets in 6 days. Enrich your trip with our handpicked experiences at the Forbidden City and the Terracotta Warriors. Explore China&apos;s ancient glory and its ambitious modernity. Feel the great contrast between China’s old and new culture. This is the most classic China tour itinerary for first-time visitors. We believe an authentic travel experience goes beyond visiting the must-see attractions. We enable you to immerse yourself in local traditions and life. The four experiences listed below give you an idea of what it would be like if you travel with us. Treat them as inspirations. Some of them are not included in the itineraries listed above. If you are interested in any of them, just tell your travel advisor and he/she will add them to your itinerary. Go beyond the touristy routes. Listen to the stories behind the food. 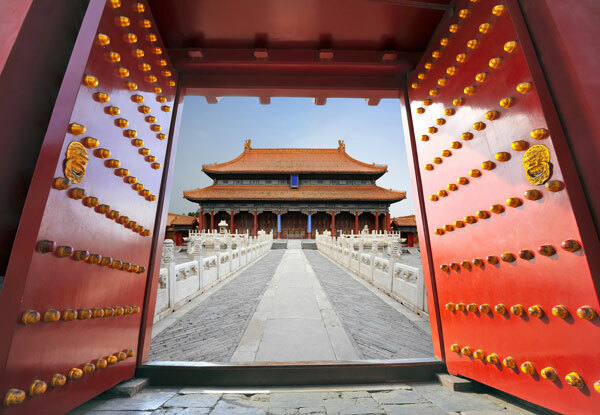 Go beyond the tourist routes to explore the deep secrets of the emperors and concubines in the Forbidden City. Immerse yourself in the lives of the local people — now and centuries ago.